Shin - Tai - Ken - Ichi. 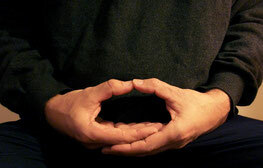 Mind - Body - Sword - (is) one. This sentence expresses, that any martial art is not merely sport, but contains a component, which is pointing beyond sports. This question came to me and accompanied me for 31 years of training and 26 years as a Trainer, in the meantime. 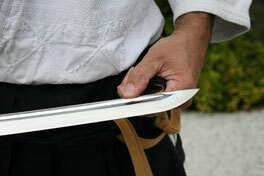 Aikidô, the art of encountering violence with harmony. Iaidô, the art of drawing the sword. 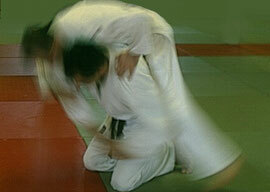 a consitent and realistic self-defence. 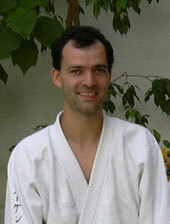 Since 1999 the Ju-Jitsu of Sensei Derroll Connelly is an important amplification and inspiration. 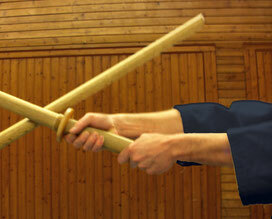 Itto-Ryû, a classic Japanese sword style.